Archdiocese of Wellington – Did we have a synod? Did we ever! 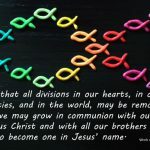 Home » Wel-com » Did we have a synod? Did we ever! Did we have a synod? Did we ever! Two months ago we gathered at St Mary’s College, in the Hall and in the classrooms and in the corridors and in Sacred Heart Cathedral, and we talked and shared our common faith and discerned our dreams for the future. And in all of that, we felt the presence of the Holy Spirit in our gathering, an almost palpable presence. Two months on, those who were there still talk about that presence, about the ‘something quite special’ that happened that weekend. Here we are two months on – and what has happened since? Some would say – not much! Where are the propositions, for example? Why aren’t they on the website? Not good enough! Others would say – much has happened since! 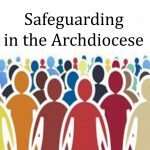 We have reported to our parishes, we have formed small discussion groups to reflect on the Future Statements – the work of the first day of the synod, we have organised parish meetings to discern what it all means for us! Or we have used it as a thinking time, before the next steps are taken. When Archbishop John Dew invited us to come journeying with him and help him shape the future direction of the archdiocese, he didn’t intend the journey to finish at Pentecost weekend. Rather that between June and September, the work of the weekend would be captured in propositions, possible ways forward, and that, having reflected on the material, he would promulgate the synod initiatives in September, so that parishes, pastoral areas, chaplaincies, schools, archdiocesan agencies might create pastoral plans and working plans which would enable us to go forward together, to be salt and light together in our communities, in our homes, in our world. He is on track! The synod planning document will be promulgated at an archdiocesan mass on 20 September, and in the South Island on 29 September. And then it’s up to us! How do we maintain the vision, the spirit, the energy, and the hope of Synod 2006? How do we spread its good news? • Continue to pray the synod prayer, that we might be salt and light to each other. • In each parish bulletin take each of the Future Statements and ask for feedback on how your parish might make them a reality in your community. • Make the synod initiatives a regular item for discernment on your parish pastoral council agendas. • Share your plans and experiences with other parishes in your pastoral area. • Incorporate synod initiatives into pastoral area plans. • Create a Salt and Light Together noticeboard to post up parish initiatives as they occur, and celebrate them. • Have a postbox for good suggestions. 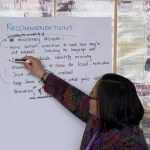 • Keep Wel-com up to date with synod initiatives and stories so that best practice or good ideas can be shared. • Send theses best practice initiatives to the archdiocesan webmaster so that they can be posted on the web. • Speak often to your parish community about synod planning. It needs our hands, voices, minds, and hearts.